The Dispute Resolution Minor and Dispute Resolution Certificate provide students with an opportunity to learn about the causes, complex dynamics, escalation, de-escalation, and constructive resolution of conflicts in a variety of contexts, from the interpersonal to the international levels. Students also gain knowledge and techniques necessary to negotiate, facilitate, and mediate a wide range of situations. 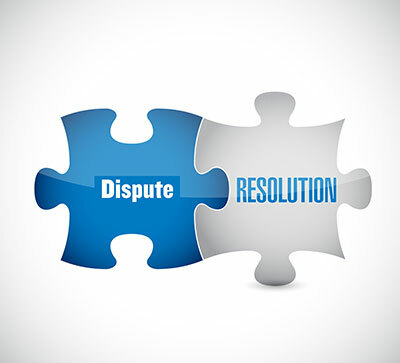 The Dispute Resolution coursework will be invaluable for students in their personal lives, at work, and in graduate school, especially for those students who will enter professions like law, social work, business, etc., where sorting through conflicts is essential. Recognize the causes of conflict. Understand the dynamics and progression of conflict. Think more critically about how to process conflict situation. Utilize dispute resolution techniques and skills needed to negotiate, facilitate, and mediate in a variety of contexts. Additionally, upon completion of the Certificate, the students will have a deeper understanding about conflict and its resolution, and will be able to better apply the skills and knowledge practiced during their internship experience. Matriculated students who complete this certificate program receive a certificate in dispute resolution from John Jay College, authorized by the Board of Trustees of The City University of New York and the New York State Department of Education upon successful completion of coursework and a practicum. Rationale. The Certificate Program and the Minor in Dispute Resolution enhance a student’s undergraduate portfolio, regardless of major. Students will acquire a solid understanding of conflict, its causes, progression, complexity, and management. For students who cannot complete the 21-credit certificate program, the 18-credit minor will still allow them to deepen their critical understanding of conflict. In a global community, understanding and managing conflict should be a core area of study for all students. The Dispute Resolution Certificate Program and Minor at John Jay College offers undergraduate students a unique opportunity, unavailable at most colleges and universities. Please note: Students cannot earn both the minor and the certificate in Dispute Resolution. Prerequisite. SOC 101. This course fulfills the Flexible Core: Individual and Society area of the College’s general education requirements. Individual courses listed below may have their own prerequisites. Students are advised to carefully read all course descriptions in this Undergraduate Bulletin when planning their programs, and should consult with the program coordinator. Additional information. Students who enrolled for the first time at the College in September 2016 or thereafter must complete the certificate/minor in the form presented here. Students who enrolled prior to that date may choose the form shown here or the earlier version of the certificate/minor. A copy of the earlier version can be obtained in the 2015–2016 Undergraduate Bulletin. Requirements. A maximum of two courses can overlap with a student’s major, other minors or programs. Note: Students are encouraged to take courses from a variety of disciplines. AFR 121 Africana Communities in the U.S.
ISP 122 "Those" People: Stereotypes in U.S.A.
LLS 124 Latina/os in the U.S.
SOC 282 can be used towards electives if the topic is applicable with permission of the Dispute Resolution Coordinator.